We are now offering an additional barrier filter option for the Stereo Microscope Fluorescence Adapter. 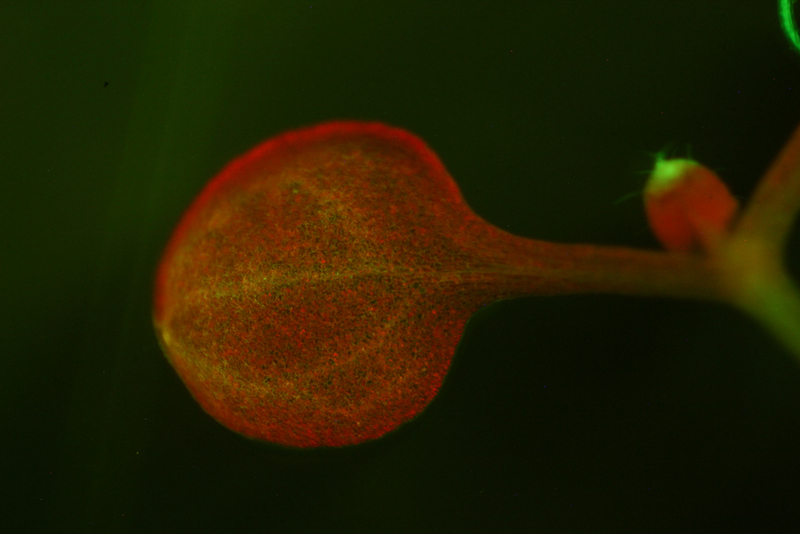 The new filter isolates the green part of the spectrum and is for use with the Royal Blue excitation source. 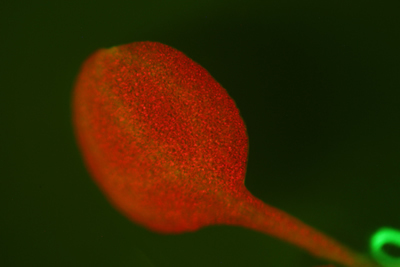 While our other barrier filters are long-pass filters this new filter is a bandpass, transmitting from approximately 500 to 560nm. 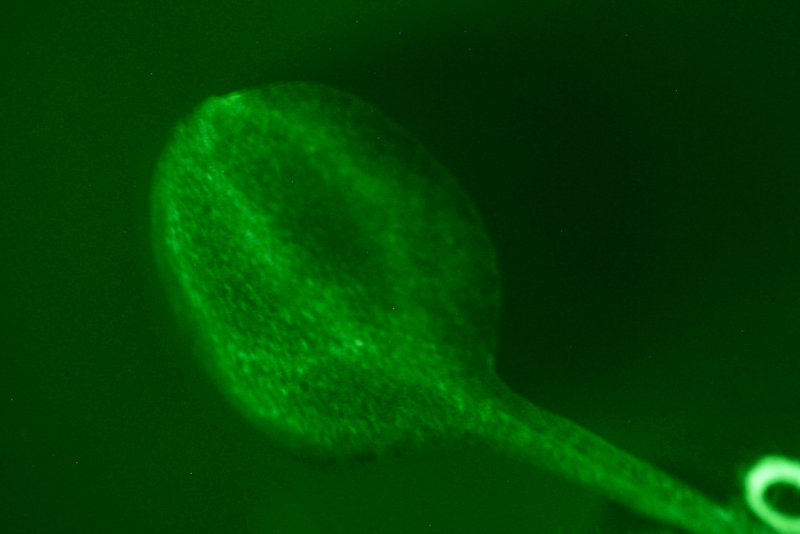 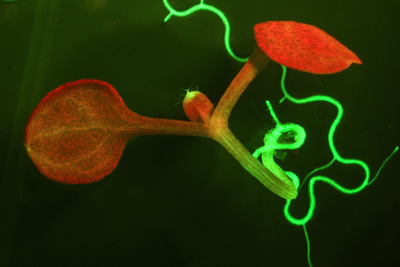 The long-pass filter has served well for most users who need to visualize green-fluorescent protein (GFP), and if you are exploring fluorescence in nature it is preferable. The primary motivation for adding the green-only filter to the line-up was for the benefit of researchers using GFP in plants such as Arabidopsis thaliana, a common research model. 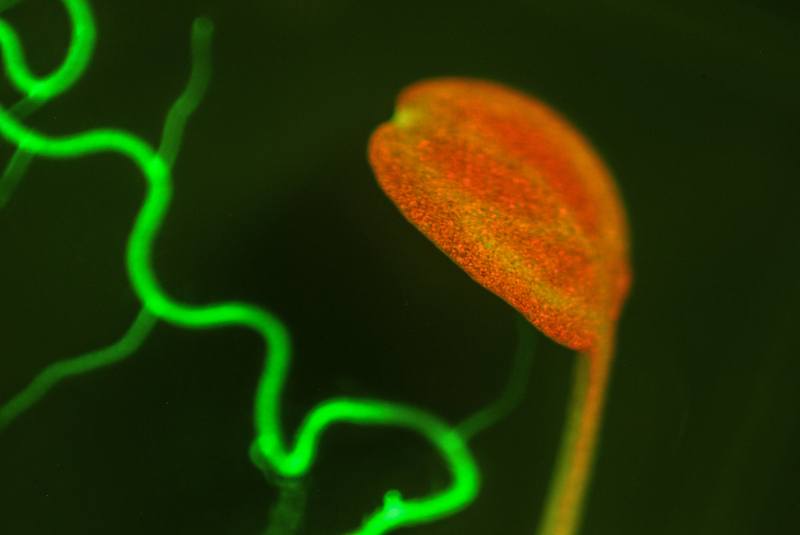 Plants contain chlorophyll, which has a distinctive red fluorescence that can sometimes mask the GFP emission, making it harder to see and photograph. 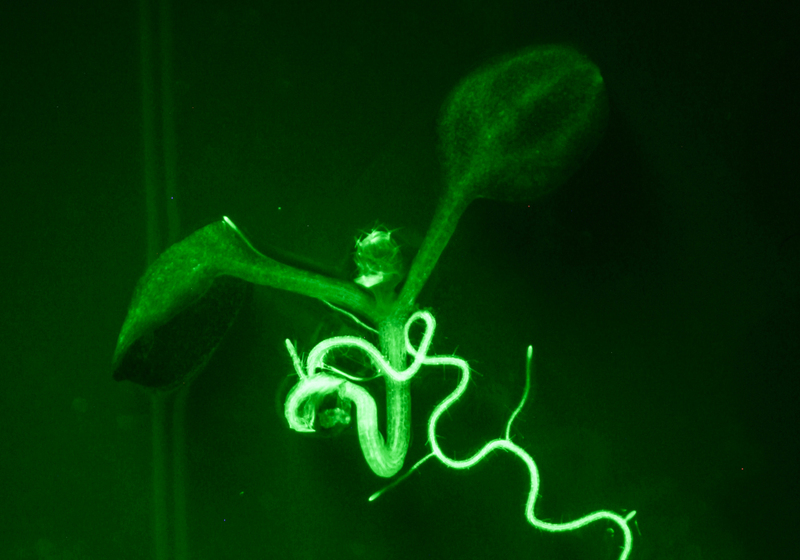 We tested this new barrier filter with Arabidopsis supplied by Dr. Chip Celenza (Department of Biology, Boston University). 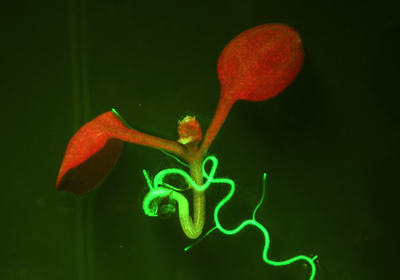 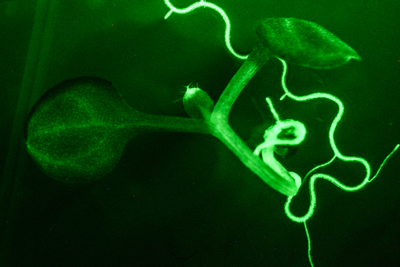 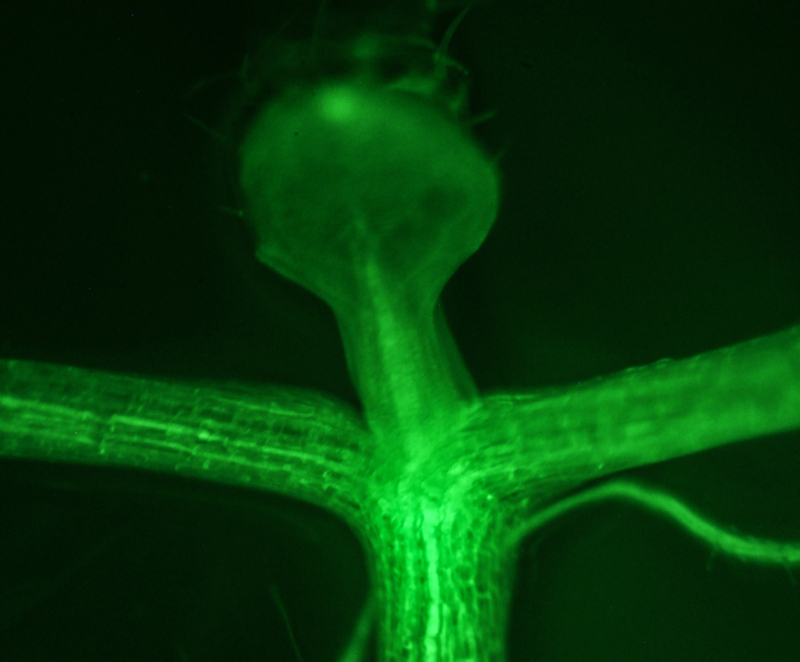 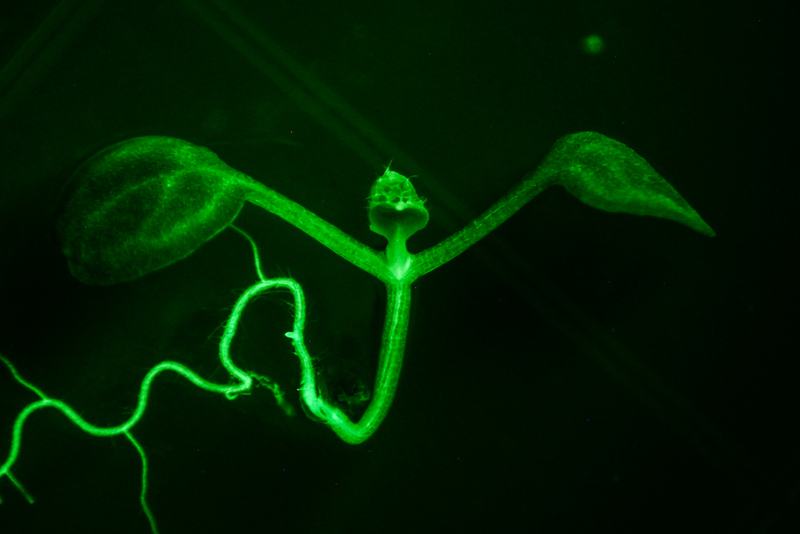 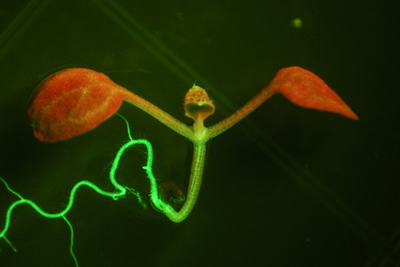 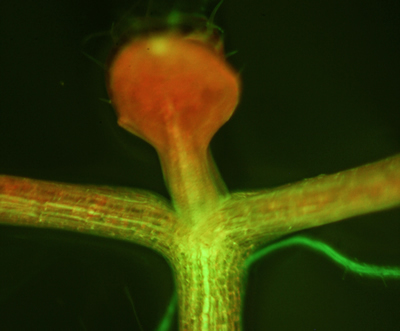 These plants express GFP in the roots and vasculature. 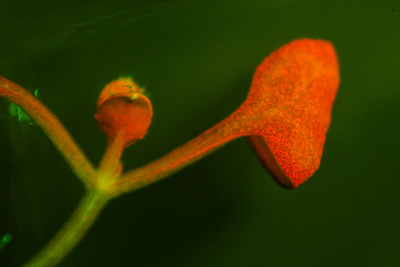 The images below show examples of plants photographed with the long-pass filter (left) and green-only filter (right). 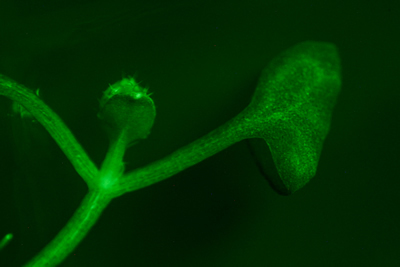 There is no chlorophyll in the roots so the GFP is evident there in both images, but the weaker expression in the leaves is much more apparent in the images on the right. 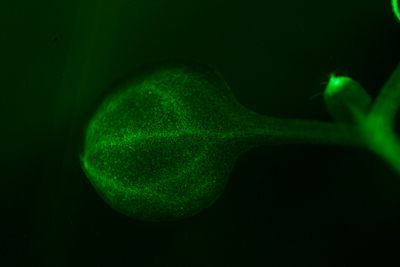 If you already own the Royal Blue excitation source you would want to add the Green-Only barrier filter (SFA-BF-GO) or barrier filter plus shield (SFA-BF-GO and SFA-SH-GO).